Multilevel road networks such as flyovers and overpasses are built in large cities to solve traffic congestion. Rapid, accurate identification of the road level in a multilevel road network is important to make driving safer and more comfortable. 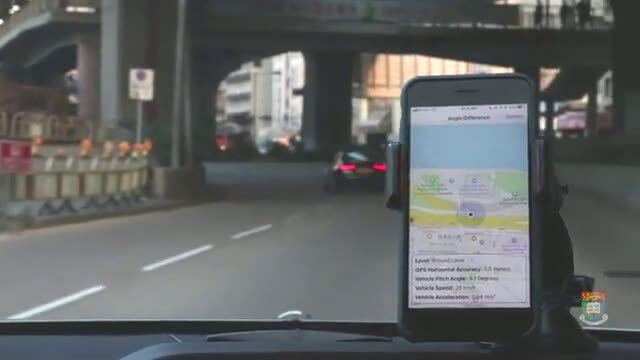 Vehicle drivers relying on GPS navigation who accidentally drive onto a flyover with the intention only to proceed on the ground level will face this problem: The GPS navigation system does not realise the vehicle has entered the incorrect level and continues to give instructions as if it were on the ground level. It may take several minutes for the system to notice the actual road level and begin to redirect to a new route. Present GPS vehicle navigation systems with a positioning error of 10 to 30 meters have long had this problem in determining which road level a vehicle has entered, especially for flyovers parallel to the ground level. The problem often creates confusion and “motorway anxiety disorder” that makes people more prone to accidents in driving. 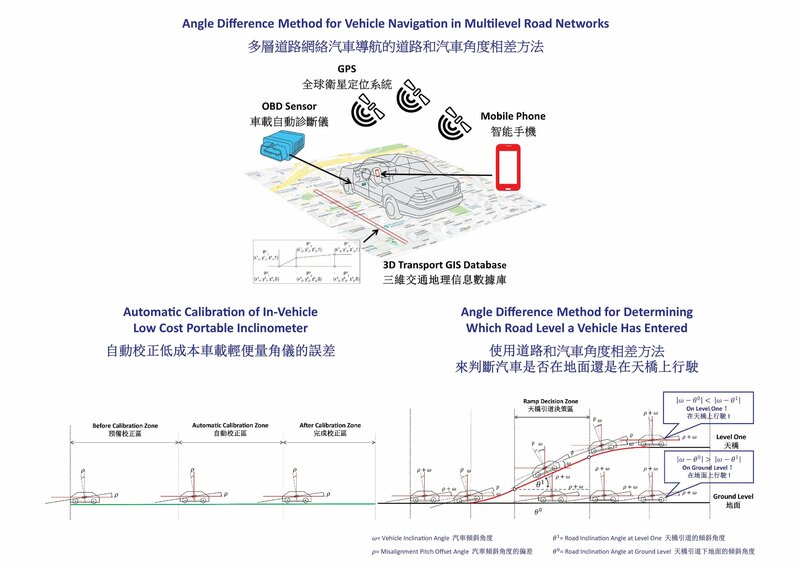 Professor Anthony Yeh Gar-On’s research team at the Department of Urban Planning and Design of the University of Hong Kong (HKU) offers a novel solution to this problem by instantly identifying whether a vehicle has entered a flyover or is still on the ground level. 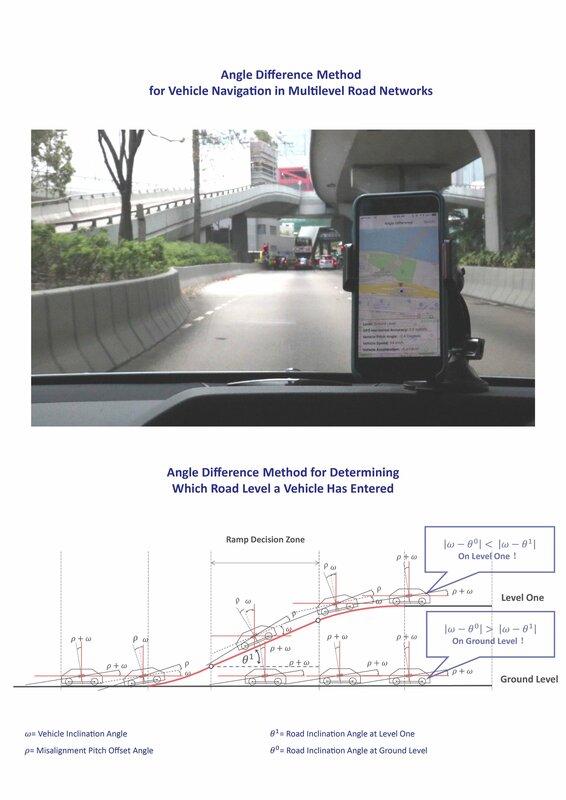 The Angle Difference Method developed by the team compares the inclination angle of a vehicle and angles of different road levels stored in a Transport GIS to determine whether a vehicle has entered the ramp of a flyover or still on the ground level. It uses an ordinary smartphone that can be put anywhere at any angle in the vehicle with a plugged in or installed onboard diagnostic (OBD) device. The system provides a simple and inexpensive solution to warn drivers instantly when entering the incorrect road level. The accuracy for identification is 100 percent. Such timely information will reduce the stress and uncertainty in driving on a complex multilevel road system. The innovation has generated several academic papers published in international academic journals, including IEEE Transactions on Intelligent Transportation Systems.